Guacamole recipes are one of the best for simple customization. Depending on the personal tastes of you or your guests you can mix-in a variety of flavors. Our personal favorite includes chunky avocados with plenty of fresh lime juice and coarsely ground salt. There’s also something really special about the freshness and taste of guacamole made in your own kitchen. 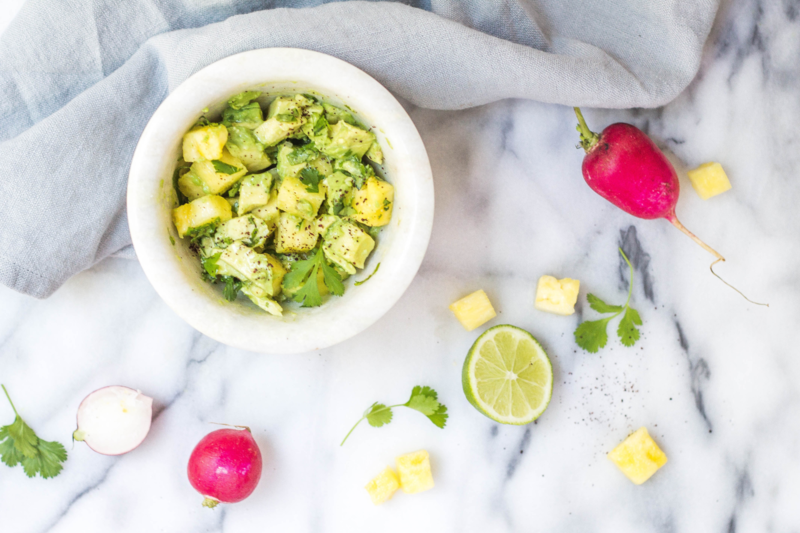 The homemade version doesn’t taste anything like store-bought brands, and the extra gardening tips below can make the taste of your guac even fresher. Optionally mix in complimenting flavors like pineapple or radish or even proteins such as lobster or bacon to really make this delicious summer treat a complete part of your meal. Whether it’s summer, spring, winter, or autumn, guacamole tastes great all year when made with ingredients. These tips are great for anyone who wants to build or grow a small garden to freshen homemade recipes. Find our recipe below. Choose organic plants and raise your plants with organic fertilizers and other supplies. Not only will your guacamole ingredients taste better, they’ll deliver more nutrients and fewer chemicals to your body. Tomatoes are usually one of the most challenging plants in a food garden. Vine-grown tomatoes use lots of heat and direct sunlight to grow. They don’t need a ton of water which allows them to dry out and concentrate the sweet acidity. Critters love to eat tomatoes, so be sure to protect them with a small mesh plastic covering or other methods. Beefsteak tomato plants are easier to buy and grow and have a great acidity for gaucamole. Cilantro needs full sun or light shade. It grows best in well-drained, moist soil. Jalapeños love the sun and need lots of full sunlight. Keep soil moist and well-fertilized. Freeze jalapeños whole and grate to easily prepare and add to recipes to taste. Avocados and citrus are more difficult to grow outside of tropical areas of the planet. Onions are also easiest when bought from the store, too. Enjoy this homemade guacamole recipe with chips, tacos, burritos, or other meals. Adjust the lime juice to your taste if you prefer less lime. Use big, sturdy chips and serve immediately. Cube avocados, tomatoes, and onion. Grate frozen jalapeño and chop garlic. Gently stir and combine all ingredients until incorporated. Taste guacamole on a chip, and adjust lime, jalapeño, salt and pepper to taste.